In order to clarify indications for therapeutic hypothermia, we retrospectively examined patients resuscitated after Out-of-Hospital Cardiac Arrest (OHCA) who recorded an Auditory Brainstem Response (ABR) wave V according to the Utstein-style guidelines. Patients who recorded an ABR wave V immediately after resuscitation from OHCA were kept at 34 °C for 48 hours. The cohort was divided into two groups: A favorable neurological outcome group (F group: N=12) and an unfavorable neurological outcome group (U group: N=14). Favorable neurological outcome was defined as Pittsburgh Cerebral-Performance Scale (CPC) 1 or 2 and unfavorable as CPC 3-5. Data used to compare the groups included whether CA was witnessed, if a bystander initiated cardiopulmonary resuscitation, presence of cardiac etiology, initial cardiac rhythm and elapsed time from emergency call receipt until Return of Spontaneous Circulation (ROSC). Elapsed time from receipt of the emergency call until ROSC was significantly shorter in the F group than in the U group. ROC curve analysis indicated that the cut-off duration was 28 minutes for a favorable neurological outcome. For OHCA patients with an ABR wave V, elapsed time from receipt of emergency call until ROSC may be an important parameter within the Utstein-style guidelines to determine the usefulness of therapeutic hypothermia. Keywords: Cardiac arrest, Therapeutic hypothermia, Utstein-style, Indication criteria, Auditory brainstem response, Outcome. © 2018 Sakurai et al. Two multi-center randomized clinical studies reported that Therapeutic Hypothermia (TH) improved outcome in patients suffering Out-of-Hospital Cardiac Arrest (OHCA) [1Bernard SA, Gray TW, Buist MD, et al. Treatment of comatose survivors of out-of-hospital cardiac arrest with induced hypothermia. N Engl J Med 2002; 346(8): 557-63. [http://dx.doi.org/10.1056/NEJMoa003289] [PMID: 11856794] , 2Mild therapeutic hypothermia to improve the neurologic outcome after cardiac arrest. N Engl J Med 2002; 346(8): 549-56. [http://dx.doi.org/10.1056/NEJMoa012689] [PMID: 11856793] ]. Nielsen et al. showed that hypothermia at a targeted temperature of 33°C did not confer more benefit compared to that at a targeted temperature of 36°C in OHCA patients [3Nielsen N, Wetterslev J, Cronberg T, et al. Targeted temperature management at 33°C versus 36°C after cardiac arrest. N Engl J Med 2013; 369(23): 2197-206. [http://dx.doi.org/10.1056/NEJMoa1310519] [PMID: 24237006] ]. These studies led to an international consensus in 2015 recommending a Targeted Temperature Management (TTM) between 32°C and 36°C for OHCA patients. However, the international consensus also indicated that there is insufficient evidence to recommend a specific approach to predicting outcome in post-cardiac arrest patients treated with TH [4Callaway CW, Soar J, Aibiki M, et al. Part 4: Advanced life support: 2015 international consensus on cardiopulmonary resuscitation and emergency cardiovascular care science with treatment recommendations. Circulation 2015; 132(16)(Suppl. 1): S84-S145. [http://dx.doi.org/10.1161/CIR.0000000000000273] [PMID: 26472860] ]. Further study to specify indications for TH is needed. We previously reported that an absence of Auditory Brainstem Response (ABR) wave V in the early phase after Return Of Spontaneous Circulation (ROSC) indicated a reduced effect of TH. In this study, ABR was measured in 26 patients immediately after admission to the Intensive Care Unit (ICU). ABR wave V was detected in 16 patients, of which 8 patients experienced a favorable outcome. ABR wave V was not detected in 10 patients, of which all experienced an unfavorable outcome. The presence of ABR wave V had a 100% sensitivity towards favorable outcome [5Sakurai A, Kinoshita K, Moriya T, et al. Reduced effectiveness of hypothermia in patients lacking the wave V in auditory brainstem responses immediately following resuscitation from cardiac arrest. Resuscitation 2006; 70(1): 52-8. [http://dx.doi.org/10.1016/j.resuscitation.2005.10.026] [PMID: 16784997] ]. Therefore, we concluded that measurement of ABR may be a useful criterion for excluding therapeutic hypothermia. However, 50% patients with ABR wave V had an unfavorable outcome. We also reported that a shorter time interval from receipt of emergency call to ROSC was the only important independent factor to achieve good neurological outcome in patients with Post Cardiac Arrest Syndrome (PCAS) [6Komatsu T, Kinoshita K, Sakurai A, et al. Shorter time until return of spontaneous circulation is the only independent factor for a good neurological outcome in patients with postcardiac arrest syndrome. Emerg Med J 2013. [PMID: 23639589] ]. Length of collapse time is important in whole brain ischemia in patients with PCAS. Combination evaluation using ABR and collapse time may predict outcome more accurately for post-resuscitated patients recieving TH after Cardiac Arrest (CA). To clarify prediction of favorable outcome and indications for TH treatment, we retrospectively examined data for a preliminary approach for patients resuscitated after OHCA who recorded an ABR wave V according to the Utstein style guidelines. It seems very important that in this study, outcome could be predicted immediately after admission to the ICU. This study was approved by the Ethics Committee of our hospital, the Nihon University School of Medicine, Itabashi Hospital of Tokyo, Japan (RK-130816-6). We retrospectively reviewed 26 patients who were resuscitated from OHCA and were identified with an ABR wave V from April 1996 to July 2006. During this time 1,740 patients came to the emergency center, of which 489 were resuscitated and admitted to the ICU. All patients were treated with TH as mentioned in the protocol of the previous study [5Sakurai A, Kinoshita K, Moriya T, et al. Reduced effectiveness of hypothermia in patients lacking the wave V in auditory brainstem responses immediately following resuscitation from cardiac arrest. Resuscitation 2006; 70(1): 52-8. [http://dx.doi.org/10.1016/j.resuscitation.2005.10.026] [PMID: 16784997] ]. TH was performed after obtaining informed consent from the patients’ families. In this study, exclusion criteria included: patients with unstable hemodynamic conditions and those who met any of the following conditions: hypotension despite maximum catecholamine infusion (mean arterial pressure less than 60 mmHg or systolic arterial pressure less than 90 mmHg); oxygenation failure (PaO2/FiO2; PF ratio of less than 200); possible causes of coma other than cardiac arrest (head trauma, cerebrovascular disease, drug overdose); cardiac arrest due to hemorrhage; terminal stage chronic disease; and/or inability to communicate (ordinary conversation is not possible). Data about the cardiac arrests of the individual patients were recorded in the Utstein style [7Cummins RO, Chamberlain DA, Abramson NS, et al. Recommended guidelines for uniform reporting of data from out-of-hospital cardiac arrest: The Utstein Style. A statement for health professionals from a task force of the American Heart Association, the European Resuscitation Council, the Heart and Stroke Foundation of Canada, and the Australian Resuscitation Council. Circulation 1991; 84(2): 960-75. [http://dx.doi.org/10.1161/01.CIR.84.2.960] [PMID: 1860248] ]. The following factors were examined: age, gender, whether the cardiac arrest was of cardiac origin, whether CA was witnessed, initial cardiac rhythm, bystander CPR and elapsed time from emergency call receipt until ROSC. After establishing ROSC, ABR was recorded at bedside in the ICU (Synax 1100, Nihon Electrical Company, Tokyo, Japan) using needle electrodes. Immediately after admission to the ICU, ABR was recorded using the classical method previously mentioned. Only patients with a recorded ABR V wave were included in this study. Temperature was maintained at 34°C for 48 hours from the start of cooling. The patients were gradually rewarmed at a rate of 1°C per day. Primary outcome was considered neurologically favorable in cases of hospital discharge or transfer, defined as level 1 (good recovery) or 2 (moderate disability) according to the five-category Pittsburgh cerebral-performance scale [7Cummins RO, Chamberlain DA, Abramson NS, et al. Recommended guidelines for uniform reporting of data from out-of-hospital cardiac arrest: The Utstein Style. A statement for health professionals from a task force of the American Heart Association, the European Resuscitation Council, the Heart and Stroke Foundation of Canada, and the Australian Resuscitation Council. Circulation 1991; 84(2): 960-75. [http://dx.doi.org/10.1161/01.CIR.84.2.960] [PMID: 1860248] ]. Three other levels, namely, 3 (severe disability), 4 (a vegetative state) and 5 (death), were defined as unfavorable. Regarding the distribution of patient characteristics and clinical parameters, Fisher's exact test or non-paired t test was used to compare the F group with the U group. Sensitivity and specificity of each examination was calculated to assess the accuracy of the diagnostic values. To estimate reliability and meaning of the data, Receiver Operating Characteristic (ROC) curve analysis was applied and the Area Under the Curve (AUC) was compared with the continuous data which showed significant difference. Data were presented as mean ± standard deviation. A p value less than 0.05 was considered to indicate statistical significance. Among 26 patients, 12 experienced a favorable outcome and 14 unfavorable. Two patients died without cognitive function from pneumonia and cardiac failure, respectively. In the F group, age was significantly lower and elapsed time from emergency call receipt until ROSC was significantly shorter than for the U group. No significant difference between the two groups was observed in the data regarding gender, whether the cardiac arrest was of cardiac origin, whether CA was witnessed, initial cardiac rhythm and bystander CPR (Table 1). Comparison of characteristics at the patients between favorable outcome group and unfavorable outcome group. In ROC analysis, only elapsed time from emergency call receipt to ROSC was significant, and Area Under the Curve (AUC) was 0.798 for favorable outcome. Change in sensitivity and specificity according to this time interval is shown in Table 2. Maximum product of sensitivity (0.917) by specificity (0.714) was 0.659 at 28 minutes. The alteration of sensitivity and specificity for favorable outcome depending on time interval from call receipt to ROSC. This study demonstrated that, for patients resuscitated after OHCA and who showed ABR wave V immediately after resuscitation and were treated with TH, the time interval from emergency call receipt until ROSC was significantly shorter for the F group than for the U group. At this time interval, ROC analysis showed an AUC of 0.798 for favorable outcome and maximum product of sensitivity by specificity was reached at 28 minutes. These facts suggest that in post-resuscitated patients with long-term ischemia, even if some brain stem function exists and the patient is treated with TH, poor outcome might be predicted. In an experimental study using dogs, TH improved neurologic outcome and histopathological change of CA for 12.5 minutes caused by VF [8Weinrauch V, Safar P, Tisherman S, Kuboyama K, Radovsky A. Beneficial effect of mild hypothermia and detrimental effect of deep hypothermia after cardiac arrest in dogs. Stroke 1992; 23(10): 1454-62. [http://dx.doi.org/10.1161/01.STR.23.10.1454] [PMID: 1412583] ]. However hypothermia therapy did not work with CA for 17 minutes [9Leonov Y, Sterz F, Safar P, Radovsky A. Moderate hypothermia after cardiac arrest of 17 minutes in dogs. Effect on cerebral and cardiac outcome. Stroke 1990; 21(11): 1600-6. [http://dx.doi.org/10.1161/01.STR.21.11.1600] [PMID: 2237954] ]. These facts suggest that TH may have a time limit regarding duration of circulatory arrest to mitigate brain damage. Safar et al. indicated the importance of shortening the length of circulatory arrest to improve outcome [10Safar P, Behringer W, Böttiger BW, Sterz F. Cerebral resuscitation potentials for cardiac arrest. Crit Care Med 2002; 30(4)(Suppl): S140-4. [http://dx.doi.org/10.1097/00003246-200204001-00004] [PMID: 11940789] ]. We reported that a shorter time interval until the return of spontaneous circulation was the only independent factor for a good neurological outcome in patients with PCAS [6Komatsu T, Kinoshita K, Sakurai A, et al. Shorter time until return of spontaneous circulation is the only independent factor for a good neurological outcome in patients with postcardiac arrest syndrome. Emerg Med J 2013. [PMID: 23639589] ]. Oddo et al. showed that TH was of particular benefit in patients with a short duration of CA (< 30 min) [11Oddo M, Schaller MD, Feihl F, Ribordy V, Liaudet L. From evidence to clinical practice: Effective implementation of therapeutic hypothermia to improve patient outcome after cardiac arrest. Crit Care Med 2006; 34(7): 1865-73. [http://dx.doi.org/10.1097/01.CCM.0000221922.08878.49] [PMID: 16715035] ]. The recent study also demonstrated that sensitivity to favorable outcome was 91.7% for an interval less than 28 minutes from emergency call receipt until ROSC. These facts suggest that ischemic duration may be crucial in determining brain damage. We could predict outcome and use the indication criteria for TH in patients resuscitated during this ischemic period. Generally, patients suffering CA of cardiac origin, those whose collapse was witnessed, those with VF and VT at the initial cardiac rhythm and those who received bystander CPR tend to have a favorable outcome [7Cummins RO, Chamberlain DA, Abramson NS, et al. Recommended guidelines for uniform reporting of data from out-of-hospital cardiac arrest: The Utstein Style. A statement for health professionals from a task force of the American Heart Association, the European Resuscitation Council, the Heart and Stroke Foundation of Canada, and the Australian Resuscitation Council. Circulation 1991; 84(2): 960-75. [http://dx.doi.org/10.1161/01.CIR.84.2.960] [PMID: 1860248] , 12Becker LB, Han BH, Meyer PM, et al. Racial differences in the incidence of cardiac arrest and subsequent survival. The CPR Chicago Project. N Engl J Med 1993; 329(9): 600-6. [http://dx.doi.org/10.1056/NEJM199308263290902] [PMID: 8341333] -14Adrie C, Cariou A, Mourvillier B, et al. Predicting survival with good neurological recovery at hospital admission after successful resuscitation of out-of-hospital cardiac arrest: the OHCA score. Eur Heart J 2006; 27(23): 2840-5. [http://dx.doi.org/10.1093/eurheartj/ehl335] [PMID: 17082207] ]. In this study, we included patients only with ABR V waves immediately after resuscitation from CA. These patients may retain some brain stem function and tend to have good survival outcome. Of 26 patients included in this study, only 2 died from complications. In these patients, no significant difference between the two groups was observed regarding cardiac origin, witnessed collapse, initial cardiac rhythm and bystander CPR, but differences in age and elapsed time from emergency call receipt until ROSC was observed. Matthews et al. reported that the predictive value of a neurological examination was insufficient at day 3 and should be delayed until at least day 5 in patients resuscitated from CA and treated with TH [15Matthews EA, Magid-Bernstein J, Sobczak E, et al. Prognostic value of the neurological examination in cardiac arrest patients after therapeutic hypothermia. Neurohospitalist 2018; 8(2): 66-73. [http://dx.doi.org/10.1177/1941874417733217] [PMID: 29623156] ]. Bilateral absence of short-latency somatosensory evoked potential N20 wave could predict outcome for those patients at 24–72 h [16Sandroni C, Cavallaro F, Callaway CW, et al. Predictors of poor neurological outcome in adult comatose survivors of cardiac arrest: A systematic review and meta-analysis. Part 1: Patients not treated with therapeutic hypothermia. Resuscitation 2013; 84(10): 1310-23. 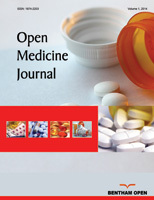 [http://dx.doi.org/10.1016/j.resuscitation.2013.05.013] [PMID: 23811182] ]. For prognosis of patients resuscitated from CA and treated with TH, a certain amount of time from ROSC is needed. This preliminary study showed that a combined evaluation of ABR and collapse duration could predict the outcome earlier, and immediately after admission to the ICU. The treatment algorithm of this study depended on the previous study [5Sakurai A, Kinoshita K, Moriya T, et al. Reduced effectiveness of hypothermia in patients lacking the wave V in auditory brainstem responses immediately following resuscitation from cardiac arrest. Resuscitation 2006; 70(1): 52-8. [http://dx.doi.org/10.1016/j.resuscitation.2005.10.026] [PMID: 16784997] ] in which duration of TH was 48h and the rewarming rate was slow. The 2015 international guidelines recommended a duration of TTM of at least 24 hours [4Callaway CW, Soar J, Aibiki M, et al. Part 4: Advanced life support: 2015 international consensus on cardiopulmonary resuscitation and emergency cardiovascular care science with treatment recommendations. Circulation 2015; 132(16)(Suppl. 1): S84-S145. [http://dx.doi.org/10.1161/CIR.0000000000000273] [PMID: 26472860] ]. Kirkegaard et al. reported that there was no difference in outcome between treatment duration of TTM at 24 and 48 hours [17Kirkegaard H, Søreide E, de Haas I, et al. Targeted temperature management for 48 vs 24 hours and neurologic outcome after out-of-hospital cardiac arrest: A randomized clinical trial. JAMA 2017; 318(4): 341-50. [http://dx.doi.org/10.1001/jama.2017.8978] [PMID: 28742911] ]. Kochanek reviewed many rewarming rates and concluded that optimal rewarming rates have not been determined [18Kochanek PM. How do we rewarm? clinical consideration.Therapeutic hypothermia in the ICU 2010; 137-44.]. Regardless, the results of this study may not be significantly influenced by treatment protocol. This study has several limitations. Confirmation of the correct time interval of circulatory arrest is sometimes difficult since the exact time of collapse is not always known. Although collapse time provides the best indication of ischemic duration, the estimated time of collapse is very imprecise. On the other hand, the exact time of emergency call receipt is part of the core data in the Utstein style and can be determined from public records [7Cummins RO, Chamberlain DA, Abramson NS, et al. Recommended guidelines for uniform reporting of data from out-of-hospital cardiac arrest: The Utstein Style. A statement for health professionals from a task force of the American Heart Association, the European Resuscitation Council, the Heart and Stroke Foundation of Canada, and the Australian Resuscitation Council. Circulation 1991; 84(2): 960-75. [http://dx.doi.org/10.1161/01.CIR.84.2.960] [PMID: 1860248] ]. Consequently, emergency call receipt time was used in this study instead of collapse time and outcome was predicted according to the amount of time which had elapsed from emergency call receipt until ROSC. Our findings suggest that the time interval from emergency call receipt until ROSC may be used to ascertain ischemic duration better than from collapse time until ROSC. The sample size was too small and a Type II error was indicated. However, Oddo et al. reported that effectiveness of TH depended on duration of CA [11Oddo M, Schaller MD, Feihl F, Ribordy V, Liaudet L. From evidence to clinical practice: Effective implementation of therapeutic hypothermia to improve patient outcome after cardiac arrest. Crit Care Med 2006; 34(7): 1865-73. [http://dx.doi.org/10.1097/01.CCM.0000221922.08878.49] [PMID: 16715035] ]. Therefore, from our results, a shorter time interval from emergency call receipt until ROSC may relate to good neurological outcome was indicated with some truth, although the sample size was small. In this preliminary study, the duration of ischemia may be crucial for patients resuscitated after an OHCA and treated with TH. Combined evaluation by ABR and collapse duration could predict outcome for the post-resuscitated patients with TH immediately after admission to the ICU. This study was approved by the Ethics Committee of our hospital, the Nihon University School of Medicine, Itabashi Hospital of Tokyo, Japan (RK-130816-6). No Animals were used in this research. All human research procedures followed were in accordance with the ethical standards of the committee responsible for human experimentation (institutional and national), and with the Helsinki Declaration of 1975, as revised in 2008. Informed written consent was obtained from all the participants. Kochanek PM. How do we rewarm? clinical consideration.Therapeutic hypothermia in the ICU 2010; 137-44.